Nepal has an adult literacy rate of 57%, with disproportionate variation between the sexes and castes. According to the Education for All Global Monitoring Report 2011, out of 7.6 million adult illiterates in Nepal, 67% are female. Many children end up with a poor education and little chance to compete for jobs that would help them break from the cycle of poverty. 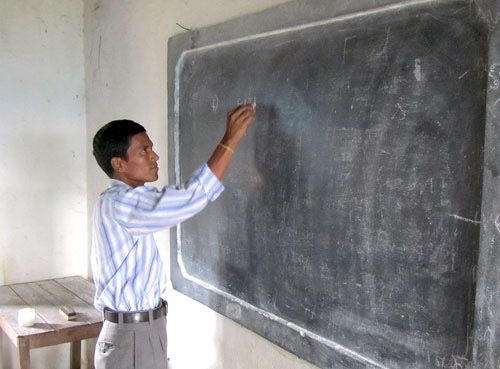 Most rural Nepali teachers are subsistence farmers: They get out of bed when the sun comes up; tend to agricultural work until school begins; work a full day in the classroom; then return to the farm until it gets dark. Everyday. With this in mind, any plans for developing teachers’ professional capacity must be mindful of their other responsibilities outside of school. According to the Ministry of Education statistics 2012, there are close to 500 schools in Gorkha, of which 400 are public. Many are located in remote mountain villages where procuring supplies is hindered by extreme poverty and lack of access to appropriate markets. Supporting these public schools is one of Gorkha Foundation’s core activities. 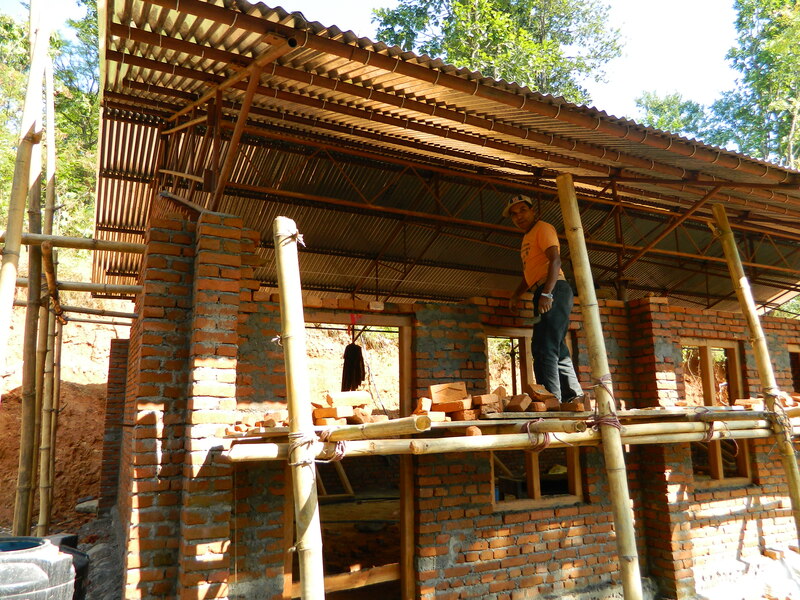 The Gorkha Foundation’s first education project began with rebuilding schools and libraries in the Lig Lig village area. Since then, close to a dozen schools have been rebuilt, each of which continues to receive our support. We deliver teacher training, professional development and provide more than 200 schools with much needed textbooks, stationery and instructional materials, including computers and thousands of library books. Through collaboration with partners such as Room To Read, Gorkha Foundation contributes to raising the perceived value of education in rural areas by constructing and equipping community-owned schools and libraries that are child-friendly learning environments. Partnering with local communities, we build new schools and libraries as well as maintaining existing ones; enlisting specialists and experts who train members of the local community in construction techniques, therefore cascading down valuable life skills and giving the local community ownership of the new buildings. We provide instructional material, equipment, supplies and computers, depending on the specific needs of the school. Each school has three to sixteen classrooms, providing an improved learning environment for the students. To date, Gorkha Foundation has reconstructed and refurbished eleven schools and one public library, as well as bringing Nepali and English books to 75 libraries within schools in the region. Together with Room to Read, we are able to provide these schools with three years of support, including training on library implementation and management. Reconstruction work included repairs and replacement of roofs, windows, doors, floors, plaster work and painting, new bathrooms, sanitary and storm sewer work, plumbing, fencing, general cleanup and other necessary additions. The 2015 Gorkha earthquake caused widespread devastation to the district, with over 90% of schools now unsafe for use. Many have been completely destroyed, and with schools now operating on reduced timetables and students studying in shelters and tents, the quality of student learning has been severely affected. 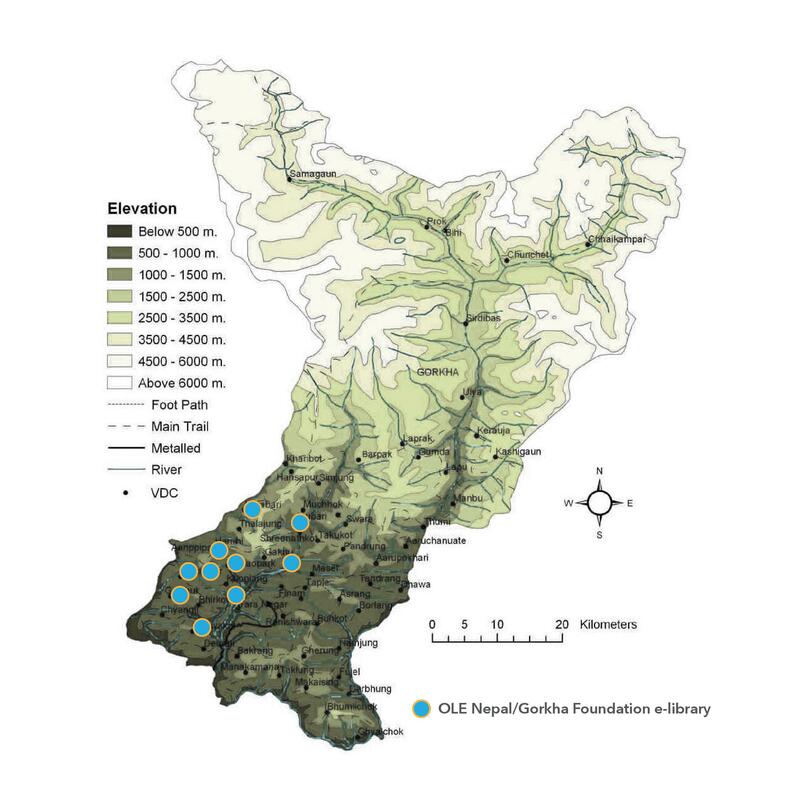 Gorkha Foundation is committed to partnering with communities and other organizations working in the region to help empower villages to rebuild these facilities to get the young people of Gorkha back to school. Technology will never substitute a good teacher. However, computers in the classroom do have demonstrable beneficial effects on student learning, motivation and ultimately on pupil achievement across a diverse range of subjects. 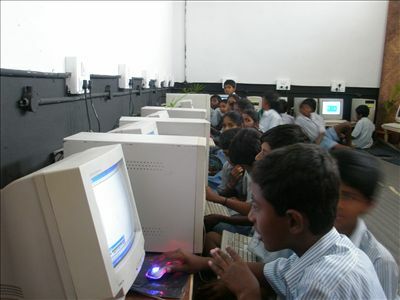 As well as providing teacher training and resources to enable the professional development of public school teachers and management staff, our goal is to develop computing skills and awareness of technology among school students from primary to secondary levels, thus empowering the disadvantaged to improve their lives and communities through transferrable technical skills. Ratamate, Thanti Pokhari, Luitel, Chapa Bhanjyang, Malatigaira, Bandanda, Chhoprak, Jaubari, Nepane and Naya Sanghu. It took the Gorkha Foundation/OLE team over two weeks to reach all of the school locations in this project, where they spent one and half days per school in networking computers and training, demonstrating features of an e-library and associating it with how a physical library works. Most teachers didn’t have prior knowledge of networking and general upkeep, so we trained them on the basics of hardware, network cabling and the necessary steps of required software installation. This project included installation of servers and teacher training to make effective use of the available educational resources in classrooms. 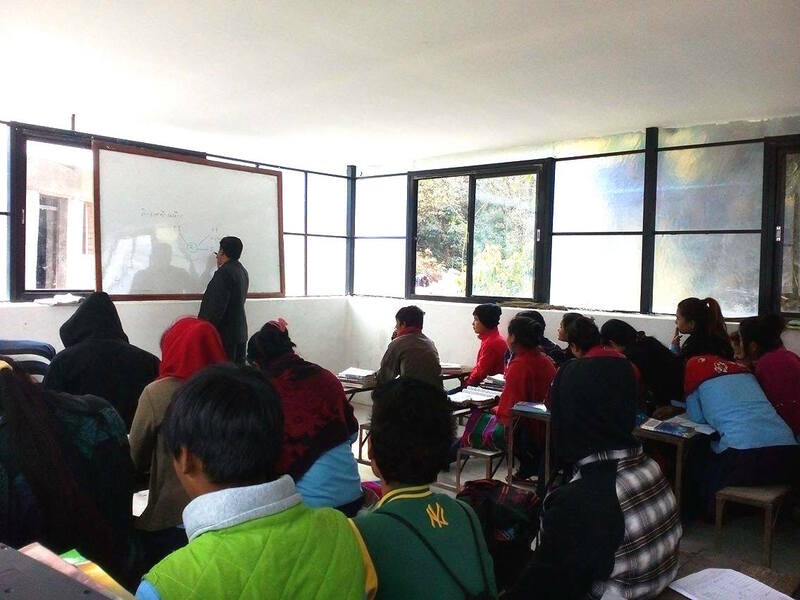 To date, Gorkha Foundation has installed over 500 computers in Gorkha schools, and has provided multiple knowledge transfer sessions for teachers throughout the district. The foundation was able to ship more than 800 computers and accessories one month before the April 2015 earthquake. This equipment is currently being stored in a safe location in Kathmandu, in preparation for teaming with OLE Nepal once more to install e-libraries in all reconstructed school in Gorkha. As a part of new school designs, one room will be a dedicated computer suite. 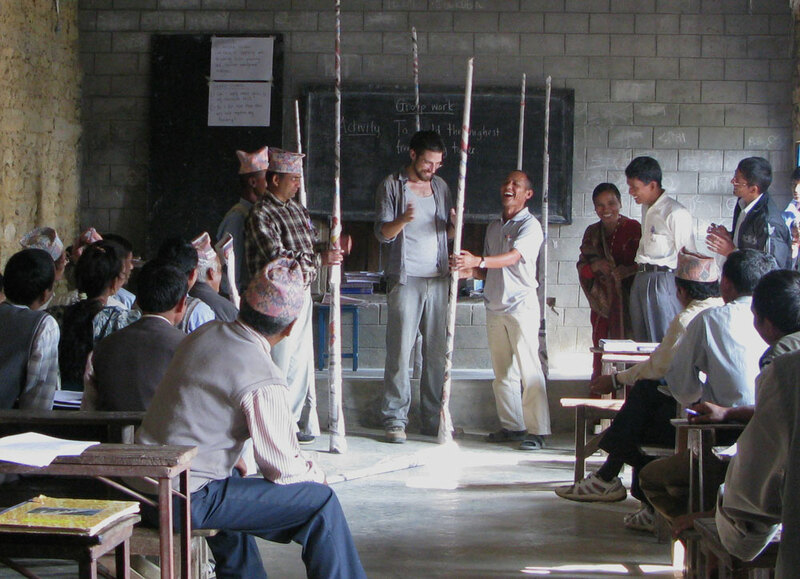 The Rural Education Network (REN) project was started by foundation member, Chris Maxted, as a response to the lack of professional development received by teachers in rural government schools in Gorkha. 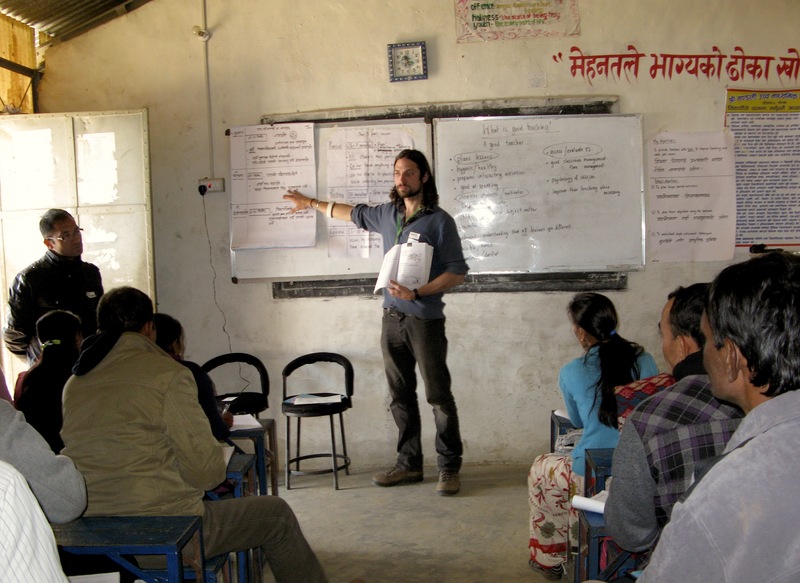 During 2012/13, the REN team toured various parts of Western Gorkha, providing a total of 6 one-day training sessions for teachers in using simple, practical student-centred strategies in classroom planning and management. Over the course of 3 weeks REN worked with 230 teachers from a total of 85 schools in the district. Many teachers in Nepal, who have received any level of training from local or national agencies thus far, are familiar with the jargon of ‘student-centred methods’ and ‘active/participatory learning’. However, where many initiatives fall short is in the lack of practical methods of how to make these a reality in the classroom. At the root of this is effective classroom management, which can be especially problematic and daunting for inexperienced teachers given the large class sizes seen in many rural schools. REN training curriculum was designed to get the teachers active, participating and reflecting upon the specifics of what they do everyday in the classroom, followed by what they need to do to put a student-centred theory into practice. It emphasized the importance of critical thinking when considering teaching, and furthermore the usefulness of working together and sharing experiences when implementing new methods. Teacher activities and tools were designed around the specific needs of, and limited resources available to, local teachers. The course was supplemented with a fully translated book for each participant, intended as a reference tool containing all handouts, activities and practical checklists to ease the adoption of new ways of working. These were in the form of reflective questions that could be used daily as an aide-memoire for planning and teaching, or as a scaffold for reflection afterwards. Teachers were encouraged to discuss ideas, design and present tasks to the group, as well to provide constructive feedback to each other. In this way, teachers could come away from these sessions understanding not just what they can do to improve their lessons, but how.